Breathtaking views, immaculately presented accommodation and beautiful gardens... are just three of the reasons that make Druid View a property that simply cannot be missed. The property occupies an outstanding plot that boasts views over the historic Stanton Drew Stone Circles. EPC rating D. DESCRIPTION Breathtaking views, immaculately presented accommodation and beautiful gardens... are just three of the untold amount of reasons that make Druid View a property that simply cannot be missed. The property occupies an outstanding plot that boasts the aforementioned uninterrupted views over open countryside and the historic Stanton Drew Stone Circles. The accommodation offers versatile reception space and good sized bedrooms and offers the opportunity for a new owner to simply move in, unpack and enjoy! Having originally been converted from two cottages in to one detached residence the property offers plenty of flexible living space. The property is entered directly into a stunning reception hall positioned in the centre of the property and offers space for a study area. To one side of the hallway there is a charming sitting room with feature log burner, the sitting room leads onto a beautiful conservatory which is the perfect spot to enjoy the views. To the other end of the property there is a good sized dining room which boasts sliding doors to the patio and gardens. 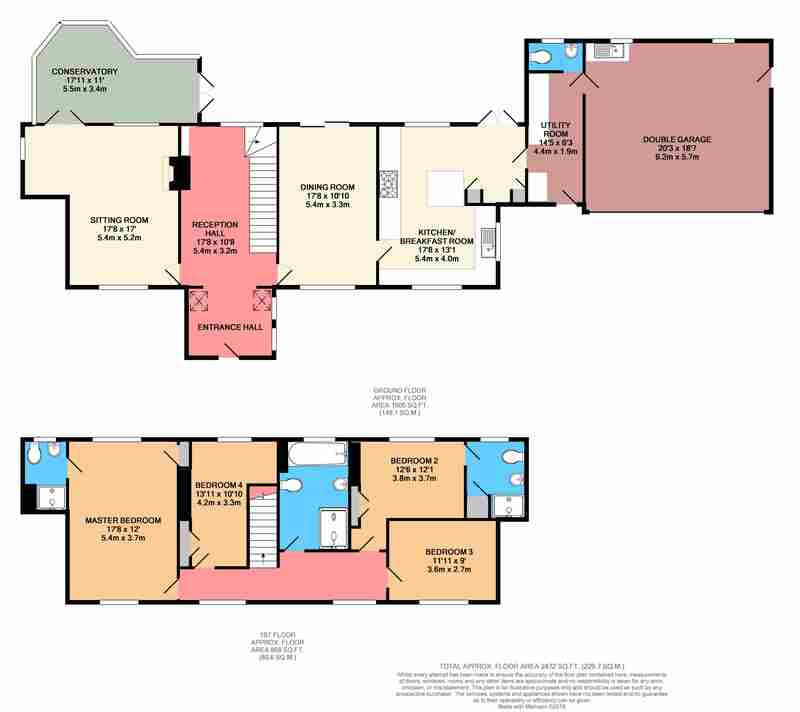 The downstairs is completed with a beautiful kitchen that comprises a range of fitted units and a large central island as well as a separate utility room and useful WC. The first floor is just as good! Four very good sized bedrooms all enjoy their own beautiful aspects over the property's grounds and countryside beyond. The master bedroom and second bedroom both comprise their own modern ensuite shower rooms and the further two bedrooms are serviced by a four piece family bathroom. The gardens at Druid View run to all sides of the property with the house itself sitting fairly centrally amongst the plot. Mainly laid to lawn the gardens also offer a feature pond, raised patio, summer house, vegetable plot and a large green house! To the front of the property there is a shingled stone driveway leaving to a double garage and offering ample off street parking as well.